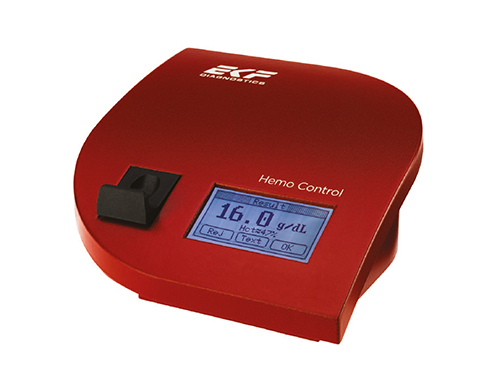 EKF Diagnostics’ DiaSpect Tm is the world’s fastest hemoglobin analyzer. 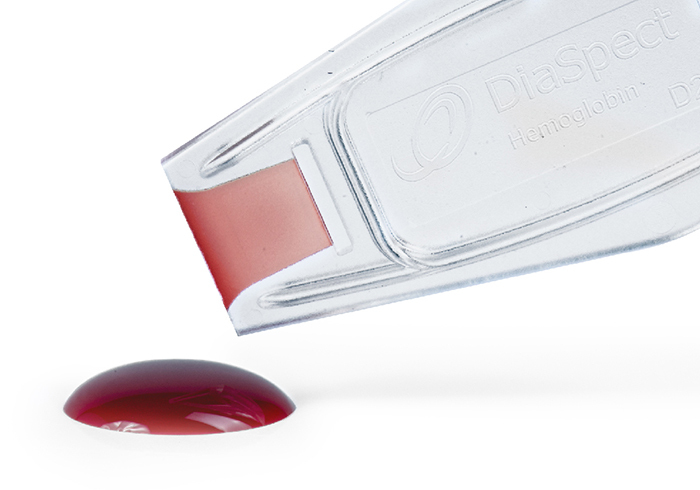 DiaSpect Tm delivers laboratory quality results in just about one second of the microcuvette being placed into the analyzer. 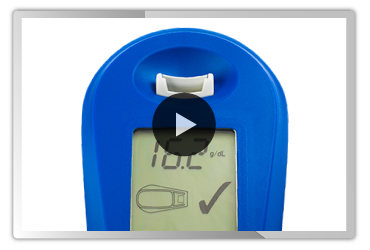 The hemoglobin analyzer is palm-sized, making it easily transportable, and ideal for use in any screening setting even in challenging climatic environments. 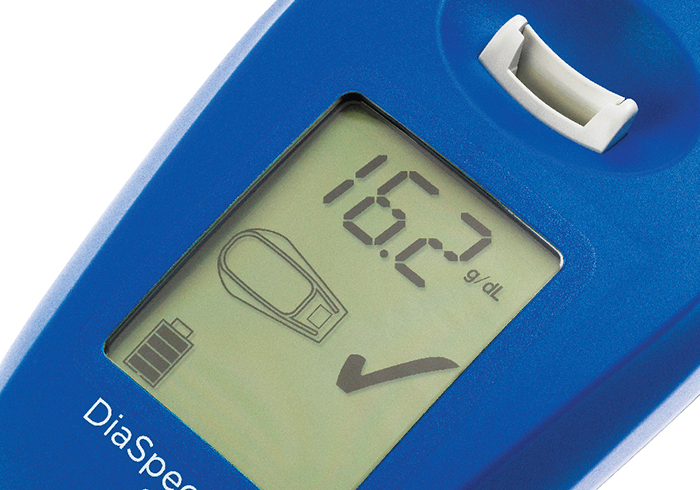 DiaSpect’s ‘always-on’ technology means that professionals can start to use the device immediately and the rechargeable internal battery, which provides up to 40 days / 10,000 tests continuous use, provides the flexibility of not needing a power source for weeks at a time. The microcuvettes have a shelf life of up to two and a half years and can be used until the expiration date, even after opening the bag. This makes them ideal for settings with low prevalence of anemic patients. The microcuvettes are unaffected by humidity or temperature and are therefore particularly suited for use in hot and humid climates. 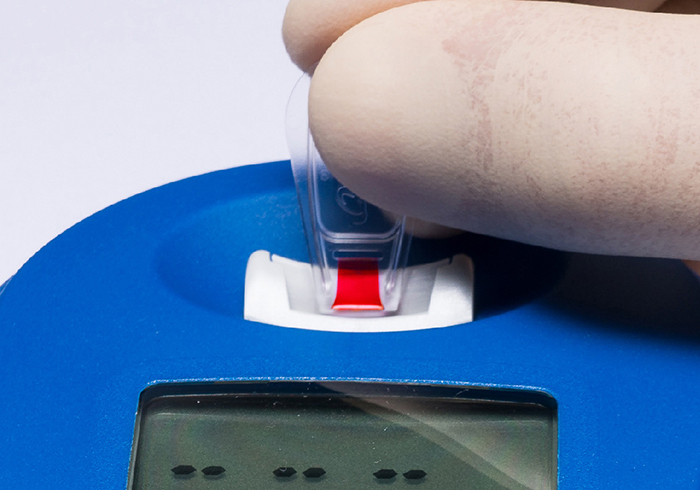 In addition, they are designed to collect a blood sample from any angle without forming air bubbles; this feature ensures that the need for repeating the testing procedure is minimised. 3. Results appear in just about 1 sec. 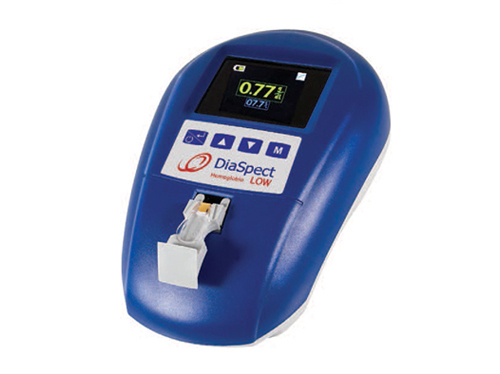 The EKF Diagnostics DiaSpect Tm is a photometer with a broad spectrum. It also compensates for turbidity and scattering. What connectivity packages are available? DiaSpect Tm has a USB port available for data export. A data transfer protocol is available for integration with third party software and can be provided on request. Furthermore, DiaSpect Tm features an integrated Bluetooth module with optional activation. 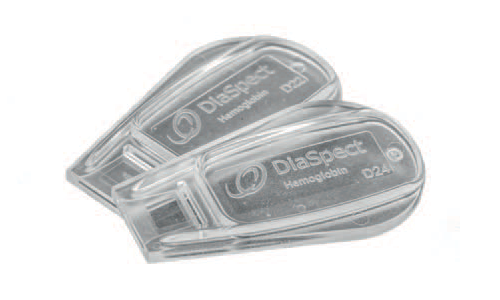 Where is DiaSpect Tm manufactured? 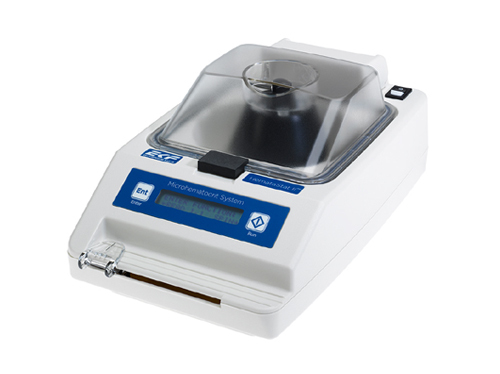 The DiaSpect Tm analyzer and cuvettes are manufactured in Germany by DiaSpect Medical GmbH, a wholly owned subsidiary of EKF Diagnostics.